What is EAL for Companies? 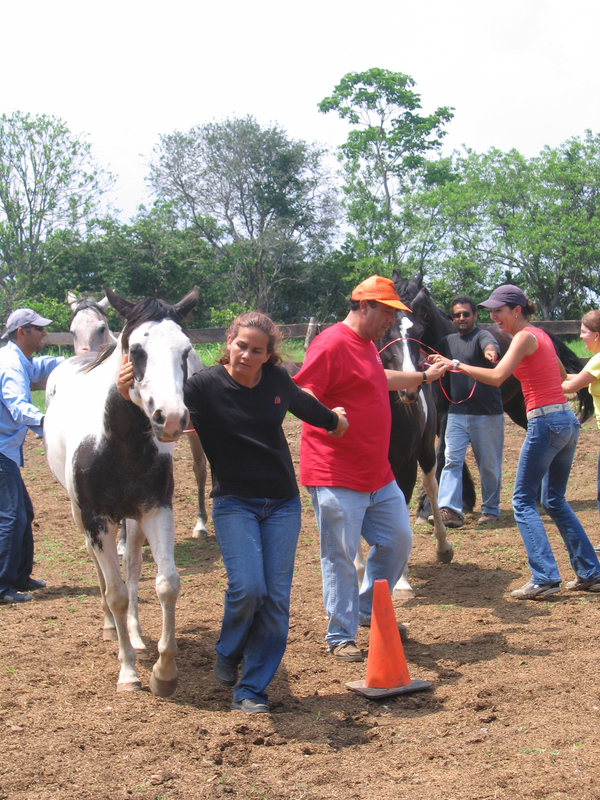 Equine Assisted Learning (EAL) is similar to Equine Assisted Psychotherapy (EAP), but the focus is not on therapeutic change, but on learning. The focus is on education and learning specific skills based on your company’s goals. Our team, consisting of a clinical psychologist, equine specialist (if applicable), and a industrial organizational psychologist or MBA level staff will meet with you first to discuss what organizational goals you wish to focus on. Exercises with the horses are then tailored to address your goals and the team provides feedback and exploration about the exercises. These workshops or retreats provide opportunities for leadership development and team building. The workshops/retreats can be a day long or multiple days based on your company’s needs.